How Does It Affect You And Your Trip? Laws and regulations for airline bankruptcy vary greatly between countries, as well does consumer right laws, making this a complicated subject. You might have some rights, or none, depending on the circumstances. As you might have seen in the news, thousands and thousands of air passengers have experienced considerable inconvenience and cost as their airline (or travel agent) has gone bust in recent years. It is however important to keep things in perspective. Still relatively small portion of all air passengers suffer from their airline going bankrupt on them. There is maybe no reason to be overly concerned but plenty of reason to be aware of this issue. Be aware that all airlines can (and sometimes do) go bankrupt. Be aware of your rights in the case of airline bankruptcy. Be aware of which travel protection measures you can take to limit your exposure. Let's have a closer look at the things you should be aware of in the case of your airline going bust. How Common Is Airline Bankruptcy? Airline bankruptcy can happen anytime, anywhere and for any airline... as such. American Airlines filed for bankruptcy (Chapter 11) in November 2011, who would have imagined that few years ago? However, airlines usually do not stop operating over night (though that does happen, especially with package tour operators). There is too much at stake and often governments are involved in the ownership. Someone tends to take the operation over while tried to sort things out. The outcome can be financial restructuring, take-over, or to go into liquidation, i.e. stop operating. In the US, airlines file for bankruptcy (Chapter 11) before going into airline liquidation. This gives the airline temporary protection from its creditors and “buys” them time to find ways to continue operating, i.e. to reorganize debts or find buyers / collaborates. Airline bankruptcy and airline liquidations are more common during economically difficult times. The 2008 credit crunch and high fuel prices have resulted in number of airlines going bust in recent years, and more airlines are expected to follow suit. But which one? Unfortunately, no one knows for sure. What Are Your Rights If Your Airline Goes Bust? 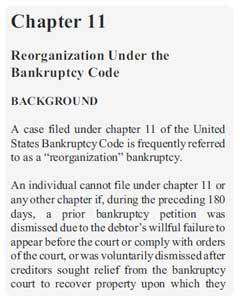 As we said in the beginning laws and regulations about airline bankruptcy and liquidation varies between countries. Meaning your rights vary too. You might have some rights, or none, depending on the circumstances. Consumer right laws can also affect your situation, e.g. regarding right to refund and credit cards, and they too vary between countries. To complicate matters even further, it can make a difference what type of flight you bought and from whom you bought it. For example, you might be covered if you bought charter flight but not if you bought scheduled flight or low cost flight. Alternatively, you might be covered if you bought from a travel agent, but not if you bought directly from the airline. Or the other way around, or not at all. The only way to be sure about your rights in case of airline bankruptcy is to check your rights with the relevant parties in your particular case. These include the airline / travel agent and the relevant official bodies. If the airline is still operating, you are likely to be able to fly as planned (though changes to flight routes and schedules aren't unknown). If another airline takes your airline over before you fly, then it is likely to be up to the new airline to honor your ticket, but they might, or might not. If the airline goes into liquidation before you travel (i.e. stops operating) then your claim is likely to fall under so-called unsecured creditors. Those are the last creditors to be paid, meaning your are very unlikely to be paid. What Can You Do To Protect Against Airline Bankruptcy? There are some travel protection measures you can take to protect you as much as possible from the expense and inconvenience caused by your airline going bust. Some will mean extra cost and sometimes tradeoff is involved. You must evaluate if you consider it worth it or not. There is usually some rumor going on before an airline goes burst. Like in the case of American Airlines, they filed for bankruptcy end of November 2011 but you can easily find rumors on-line from the beginning of October the same year (or even earlier). As the saying goes, there is usually no smoke without a fire. If you are concerned about your airline, check if there are any rumors going around. Buying your flight tickets well in advance means it is more difficult for you to access if the airline is at risk or not. Things can change drastically in short period. However, leaving it to last minute to buy flights might result in higher prices. Is it worthwhile tradeoff? If you decide to buy your ticket last minute and you come across prices that seem too good to be true... investigate. Sometimes desperate companies turn to desperate measures. On the other hand, you might just have come across an excellent deal and if so... congratulation. Pay with credit card, not debit or cash card, and you are more likely to get you your money back from the credit card company. It might though take time. However, paying with credit card is no guarantee. It can vary between countries and situations, if the credit card offers you any protection. For example, your rights might be diminished if travel agent made the charge in its' name instead of the airlines. Therefore, buy directly from the airline might be better, as long as the price is right... or not. In some countries, like UK, scheduled airlines provide no financial protection for travelers. On the other hand, if you buy your flight from a travel agent and as part of package, it might fall under scheme like ATOL (Air Travel Organisers' Licensing) in the UK. It means that if an airline goes bust then CAA (Civil Aviation Authority) will be responsible for getting you back home and if you cannot travel, you will get a refund. Similar schemes are operated in many other countries. Paper ticket is normally better than e-ticket if the worst happens, i.e. if you have to show evidence for your flight. At least bring printed copy of your e-ticket. Your standard travel insurance is unlikely to cover you in the case of your airline going bust. You might be able to find / add some travel cancellation insurance, or airline failure insurance, but they can be hard to find and there is a price tag attached. As you can see, it is not straightforward how airline bankruptcy will affect you and your trip. You can take some travel protection measures to limit your risk but the final outcome will always depend on your specific circumstances. Ps. before you catch your next flight, make sure you got the right in flight comfort products to ensure you Are Comfortable During Your Flight.